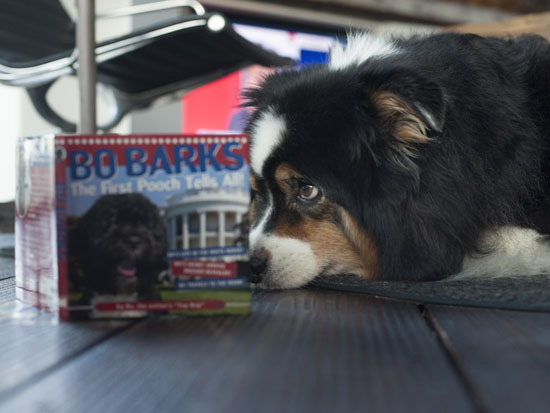 In this election year, my owners spend a lot of time studying info about occupants of the White House and would-be occupants. 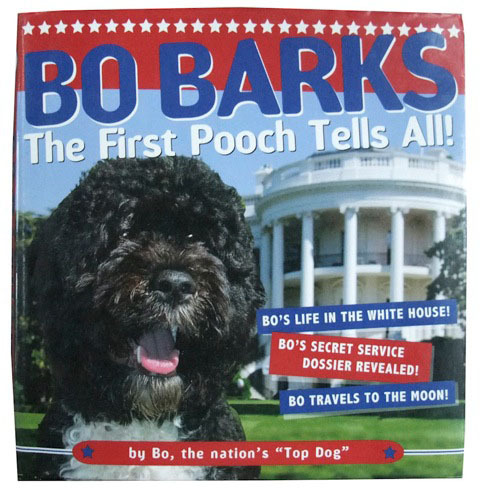 For the views of the current canine front runner, they picked up Bo Barks:the First Pooch Tells All, which contains some cute snaps, interesting info and observations For example, Bo, a Portuguese water dog, loves tomatoes — when I thought I might be the only dog who did. And a scoop (not pooper): hungry for news about the nation, Bo once chewed a draft of the State of the Union speech to bits! 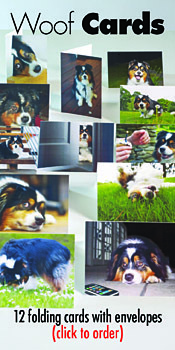 There are photos of the DOTUS (Dog of the United States) from previous administrations, including the President Bush’s Springer Spaniel, Millie, President Ford’s Golden Retriever, Liberty and President Clinton’s chocolate-colored labrador, Buddy, and a few fantasy shots. A big paws up!